High dynamic range imaging produces images with a much greater range of light and color than conventional imaging. The effect is stunning, as great as the difference between black-and-white and color television. 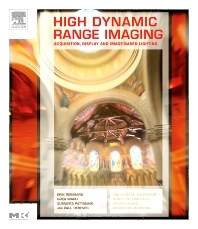 High Dynamic Range Imaging is the first book to describe this exciting new field that is transforming the media and entertainment industries. Written by the foremost researchers in HDRI, it will explain and define this new technology for anyone who works with images, whether it is for computer graphics, film, video, photography, or lighting design. Researchers and developers in computer graphics and the entertainment industry; technical directors in film and photography; anyone who works with images. High Dynamic Range Imaging" is a fantastic overview of the state of the art for some critical concepts in visual effects. It outlines the basic foundations of color theory that are the core of VFX image processing and also serves as a roadmap to the way we will be working in the future. This book should be required reading for any VFX artist doing high-end film work." "I was very impressed with this book. It is highly topical and relevant at this pivotal time in the technology of image recording and display. Even the average consumer is well aware of monstrous changes in the film industry: digital cameras supplanting film cameras and digital projectors muscling in on film projectors at cinemas. This book is an excellent touchstone of where the industry is and where it will be going in the coming years." "The book reads very well. It not only works as an excellent reference volume but it reads easily and teaches the subject thoroughly. There's no question that it's going on my bookshelf and I know many artists who will insist on having a copy too." Erik Reinhard is assistant professor at the University of Bristol and founder and editor-in-chief (with Heinrich Bülthoff) of ACM Transactions on Applied Perception. He is interested in the interface between visual perception and computer graphics and also in high dynamic range image editing. His work in HDRI includes the SIGGRAPH 2005 Computer Animation Festival contribution Image-based Material Editing, as well as tone reproduction and color appearance algorithms. He holds a BSc and a TWAIO diploma in computer science from Delft University of Technology and a PhD in computer science from the University of Bristol, and was a post-doctoral researcher at the University of Utah. Greg Ward is a pioneer in HDRI, having developed the first widely used HDR image file format in 1986 as part of the Radiance lighting simulation system. In 1998 he introduced the more advanced LogLuv TIFF encoding and more recently the backwards-compatible HDR extension to JPEG. He is also the author of the Mac OS X application Photosphere, which provides advanced HDR assembly and cataloging and is freely available from www.anyhere.com. Currently he is collaborating with Sunnybrook Technologies on their HDR display systems. Greg has worked as a part of the computer graphics research community for over 20 years, developing rendering algorithms, reflectance models and measurement systems, tone reproduction operators, image processing techniques, and photo printer calibration methods. His past employers include the Lawrence Berkeley National Laboratory, EPFL Switzerland, SGI, Shutterfly, and Exponent. He holds a bachelor's degree in physics from UC Berkeley and a master's degree in computer science from San Francisco State University. He is currently working as an independent consultant in Albany, California. Independent Consultant, Albany, California, U.S.A.
Sumanta Pattanaik is an associate processor of computer science at the University of Central Florida, Orlando (UCF). His main area of research is realistic rendering where he has been active for over 15 years and has contributed significantly through a number of research publications. His current focus is developing real-time rendering algorithms and modeling natural environments. He is currently serving as the computer graphics category editor of ACM Computing Review. Sumanta received his MS degree in chemistry from Utkal University, India in 1978 and PhD degree in computer science from Birla Institute of Technology and Science in Pilani (BITS-Pilani), India in 1993. Prior to joining UCF he was a research associate at the Program of Computer Graphics at Cornell University, a post-doctoral researcher at the SIAMES program of IRISA/INRIA France, and a senior staff scientist at the National Center of Software Technology, India. Paul Debevec is a research assistant professor at the University of Southern California and the executive producer of graphics research at USC's Institute for Creative Technologies. Paul's PhD thesis (UC Berkeley, 1996) presented Façade, an image-based modeling and rendering system for creating photoreal architectural models from photographs. Using Façade, he led the creation of virtual cinematography of the Berkeley campus for his 1997 film The Campanile Movie whose techniques were used to create virtual backgrounds in the 1999 film The Matrix. Subsequently he pioneered techniques for illuminating computer-generated scenes with real-world lighting captured through high dynamic range photography, demonstrating new image-based lighting techniques in his films Rendering with Natural Light (1998), Fiat Lux (1999), and The Parthenon (2004). He has also led the design of HDR Shop, the first widely used high dynamic range image editing program. Most recently Paul has led the development of a series of Light Stage devices that allow objects, actors, and performances to be synthetically illuminated with novel lighting. This technique was used to create photoreal digital actors for the film Spider Man 2. Paul received the first ACM SIGGRAPH Significant New Researcher Award in 2001, was named one of the world's top "100 Young Innovators" by MIT's Technology Review in 2002, and was awarded a Lillian Gilbreth Lectureship from the National Academy of Engineering in 2005. Institute for Creative Technologies, University of Southern California, U.S.A.